Medical data registries serve an important role in the support, investigation and application of emerging treatments and technologies in health care, and in the study of rare or unusual diseases or treatments. By consolidating information of interest into databases designed to support a specialized role, they seek to improve the delivery of health care to specialized groups. By enabling exchange of information, and interrogation of large databases, health care workers can probe for knowledge not available in traditional medical record systems. The Extracorporeal Life Support Organization maintains a registry of patients treated with an extraordinary therapy for life-threatening cardiopulmonary failure, known as extracorporeal life support (ECLS). The registry is a database on patients from 120 domestic and international centers. Its initial implementation as a localized relational database imposed significant limits on dissemination of information for benchmarking, and for ad hoc queries to support on-going patient care. 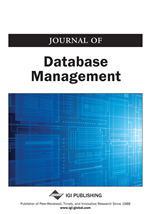 This paper reviews the legacy implementation of the database, and the development and transformation of the database from a limited localized database into a global information management and decision support tool to assist domestic U.S. and international centers in their application of this dynamic technology.